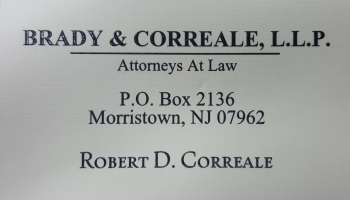 Mr. Correale is a former Somerset County Assistant Prosecutor and was the Municipal Prosecutor for the Township of Jefferson from 1994 to 1998. In 2015, he was appointed as Special Municipal Prosecutor for the Township of Frelinghuysen. He has also served as the Alternate Municipal Prosecutor in four municipalities in Sussex County and as a Municipal Public Defender for five municipalities in Morris and Sussex Counties. In 2016, Mr. Correale was appointed Secretary of the Morris County Bar Association Municipal Court Committee.